The goal of this expedition is simple: to help experts reconstruct the complex past of Populonia as fully as possible. Teams 1,2,3, and 4 (teen team) will work between the remaining walls of a Roman villa on Poggio del Molino (Windmill Hill), overlooking the Mediterranean Sea. The villa was built at the start of the 1st century A.D., when the main city of Populonia was mysteriously abandoned. People continued to live at the villa, though, until the end of the 5th century, so it is one of the few existing sources of information from this time period. 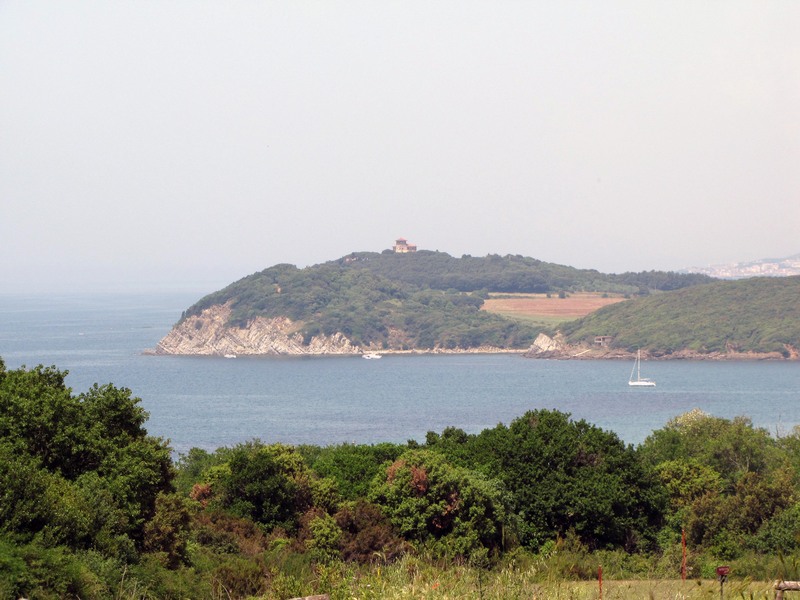 Teams 5-7 will excavate at the Baratti and Populonia Archaeological Park. The area has not yet been investigated by rigorous archaeological scientific methods, but it is a critical place to discover more about the lives of the people who lived in Populonia between the 7th and 1st century BCE. Volunteers on these teams will also have the opportunity to visit the Villa Poggio del Molino as well. Live the life of a professional archaeologist as you unearth artifacts, then clean and study them. You might also try rebuilding original objects from the fragments you’ve discovered. You’ll have an unparalleled chance to get close to Italy’s ancient past. The oldest features uncovered in Populonia date back to the seventh century B.C. : two mound tombs belonging to wealthy and powerful local families. Populonia’s archaeological sites face threats from looters. Help researchers protect these invaluable remnants of the ancient world. For hundreds of years, Populonia dominated the ironworks industry in the Mediterranean. The transfer of the city from Etruscan to Roman rule around 250 B.C. did not halt its metalworking activities; iron exports supported the Roman expansion in Africa, so the ruling class had important economic interests in the area’s industrial production and commerce. To reconstruct the economic and social history of the city of Populonia, researchers must answer many complicated questions: When and where did iron smelting take place? How was the society of the city shaped by metalworking and trade? Who were the ancient people that lived and worked in the harbor, the mines, and the iron smelting industry? Unearth artifacts and remove them for cleaning and study. By joining this expedition, you’ll help fill in gaps in knowledge about the Populonia area from the Etruscan period (beginning in 800 B.C.) through the Roman period (beginning at about 250 to 200 B.C.) and up to the early Middle Ages (A.D. 600). The results will illuminate how the Etruscan and Roman economies operated and how the Romans exploited the natural resources of the territories they ruled. We still know little about the political, economic, architectural, and religious changes brought by the arrival of Romans in this part of the Tuscan coast—and your work will help us fill in the gaps and communicate to the public why sites like this are worth preserving. Welcome to Tuscany, famous for its stunning scenery, food, and wine. The research site overlooks the Tyrrhenian Sea, with a view of the Isle of Elba. Although many tourists make Populonia and its environs their destination today, the area still maintains authentic Tuscan traditions. It also boasts a number of natural attractions. The Rimigliano Park, a strip of luxuriant coastal Mediterranean vegetation, abuts the research site. You’ll also be near the World Wildlife Fund reserve of Orti Bottagone, an important habitat for wild birds and amphibians. Many towns that date from the Middle Ages dot the area, most of which are known for their traditional festivals, excellent food (especially game such as wild boar), and wine. Populonia’s location makes it an ideal jumping-off point for visits to Pisa, Florence, and other cities if you decide to spend time in Italy before or after the project. You can choose to join this team for either seven or 13 days. Excavate artifacts. You'll spend most of your time removing the earth around objects with trowels, brushes, and other tools. Mapping excavation sites. To help record the layout the excavations and where objects have been uncovered, you will help draw features of the site. Record and analyze artifacts. Help clean and catalog the finds you make, and analyze the source and age of stones used as building materials. Conserve and preserve artifacts. When you find bits of pottery, you'll try to reconstruct the original vessel. You'll also draw and do some basic conservation of building decorations, such as mosaics. Those who join the 13-day teams will have a free day to explore some of the many archaeological wonders of the area, with expert researchers as their guides. They’ll visit the striking necropolis of Le Grotte, which dates from the fourth century B.C., with its underground Hellenistic-age chamber tombs. After a picnic lunch, the team may stop at the Archaeological Museum of the Territory of Populonia in the town of Piombino. In the evening, the team will enjoy authentic pizza in a local restaurant. Join expert archaeologists as they excavate some of the most important Roman sites in Italy. Dr. Megale is an expert at unlocking the secrets that ordinary objects like pottery and bricks hold about the past. You’ll stay in comfortable, modern apartments in the quiet village of Populonia Stazione. The shared bedrooms have twin beds, and the apartments will vary in size depending on how big the team is. You’ll make your own breakfast in the well-equipped kitchen every morning, and in the evenings staff members will treat you to home-cooked Italian dinners. You’re welcome to help out and try your hand at some of these authentic recipes. The team will eat lunch at a local café, which offers free wifi. From the accommodations, you’re a very short walk to the charming center of Populonia Stazione, where you can visit a bakery, a pizzeria, and two small grocery stores. Everything about this project was fantastic - our team was able to be engaged in every aspect of an archeological dig, including unearthing buried strata, documenting finds, cleaning and attempting to assemble artifacts, and assisting in preserving ancient mosaics and frescoes. And what a site - intriguing evolution through early to mid-Roman occupation, transitioning from a fort policing and protecting the rich iron ore processing of the region to a farm adapted to produce the much-prized garum for the fuddy-duddies of Rome, to a nobleman's villa complete with baths, massage rooms, and an extensive garden. And every footstep echoed the shadows of that procession through time. The field staff were also incredible - knowledgable, patient, positively energetic, and great cooks of our evening meals! They helped make the work fun and helped create a strong bond among the volunteers - and of course some good local wines helped. I can't wait to return next year! What a great experience it was to be part of the wonderful team of archeologists at Populonia, Tuscany. I have only the highest praise for these dedicated people that made us all feel so welcome. With absolutely no previous experience in the field, except a 'burning' desire to join a dig, this was a superb way to see if archeology is something for me. We were digging at a Roman villa where we assisted in the restoration of mosaics and frescoes and in cleaning of pottery. The site was closing up for the winter and so the cleaning of finds was needed for the catalogisation and storage. We even got to try to put pottery pieces back together. I thoroughly enjoyed every part of this experience, being outdoors the whole day with physical work, finding (or not finding) pottery pieces and then to clean and piece them together. It was such a fantastic introduction to the whole archeology process which I found very interesting. I can highly recommend everyone who has ever thought about volunteering at a site to go on this trip, you will not regret it! I would also like to take this opportunity to thank Karolina, Giulia, Alessandro, Marco and the rest of the team for taking so good care of us and for being so enthusiastic and willing to share your knowledge with an wannabe archeologist! Within a beautiful landscape we worked on two sites in the area belonging to two neighboring civilisations: Roman and Etruscan. In addition to the interesting research covering 1000 Years and at least 3 different periods on the Roman site there was the restoration of parts of the Roman site going on to save the walls and the mosaics from the elements. Accommodation was as exciting as the research in the Dreamcastle of Populonia. I participated in the Unearthing Ancient History in Tuscany expedition in September 2017. With no prior archaeological background, I found it to be a wonderful experience, with just one exception and that was my own physical limitations, not the result of the project or any of its great staff. My team was small, just three volunteers the first week and two the second. We were met at the Pisa airport and driven about an hour south to the small coastal community of Populonia, not really a town where we were, just a Castle on a hilltop overlooking Baratti Bay with its fine beaches and a few restaurants. We stayed in the castle itself in very comfortable apartments. Ariana and Martina were the two archaeologists we worked with everyday and they came over every evening to prepare dinner and we all ate together. We fixed our own breakfasts and packed lunches each day to take to the work sites, there was always plenty of food available for us in the kitchen so that was never a problem, plus we did go out for dinner a few times. We worked on two sites, excavating an ancient Etruscan Necropolis, where we helped unearth the remains of several individuals and we also worked at the site of Roman Villa, helping in the preservation of the floor mosaics. Both of these projects were great and I learned a great deal about Roman and Etruscan history and cultures. The physical limitations I spoke of earlier was that much of the work we did was down on hands and knees, both working on the burial site and mosaics. I had known in advance that would be the case but it was much harder on my knees than I expected. None the less, the staff we worked with were very helpful and understanding without disrupting their work and we were all able to accomplish our tasks. I would highly recommend this project to anyone interested in Ancient Etruscan or Roman history. The entire Populonia area is rich in history and archaeology sites going back at least to the 9th century B.C.E. I can not say enough good things about Carolina, Ariana or Martina or any of the other Archaeologists and other specialists we worked with. They were all highly professional, skilled in their craft, and absolutely dedicated to exposing and preserving the rich heritage of Italy and that region in particular. It was indeed an honor and a privilege to participate in the project and contribute even a little to the work being done. Just after retiring, I found this opportunity to get out of my self-described, "armchair archaeologist" identity and go on a real dig. This dig site spanned many historical periods and I could not have chosen a more fascinating site. Earthwatch made the trip easy and rewarding. I highly recommend the professional archaeological team Carolina Megale, Stefano Genovesi and others. Also the site's location in Tuscany, right on the Mediterranean identified as the Etruscan's 'Tyrrhenian Sea' was spectacular. The accommodations and the food were memorable and one night's visit to the local winery topped of the week with the full romance of Italy. I was fortunate to win Earthwatch's membership drawing for a free expedition and selected this one. I've never done any archeology before so everything was new and interesting. The three scientists were wonderful to work with and shared all they could with us to help us both do good field work and learn from the experience. Arianna was our logistical manager and with us all the time. She cooked wonderful Italian meals for us and helped us with all our needs. Carolina as the lead archeologist took time to tour us through other Etruscan museums and ruins and greatly increased our knowledge of this period of Italian history. Stefano was the lead scientist and with us almost all the time on the site. He was painstaking in training us to "see" the various layers and try to recreate how each thing we found had come to be at that level on the site. For anyone interested in archeology, it would be a remarkable learning experience and I would highly recommend it. Although that isn't my scientific focus, I found the whole experience very worthwhile and educational. We were the first team of the season so we only dug through three layers. I'm excited to learn what the subsequent teams unearth. Terrific expedition! The researchers explained the background, reasoning, and methods every step of the way, and we could see how our work fit into the whole picture. I had a great time, in a wonderful place, discovering the Etruscans. This was my first time with earth watch and it exceeded all my expectations. The location of the excavations in Poggio del Mulino was very nice with a great view and lots of shade. We got three very interesting briefings on archaeology by very dedicated scientists. Getting to work hands-on and being able to actually touch ancient artifacts and bone was amazing. The accommodation in a medieval castle, and the excellent meals were an extra bonus. But the best were the staff Carolina, Stefano, Martina and Laura, they thought us a lot and were great hosts. If you enjoy history, archeology, anthropology,, and the beauty of the Tuscany region in Italy this trip is for you. Populonia is a quiet village along the Mediterranean coast that was once the setting of early Etruscan iron works. Later these ruins were covered by Roman ruins, so your excavation can unearth thousand of years of history. The lead archeologists are very knowledgable and easy to work with. An afternoon at the beach is an option, tasty Italian meals are a bonus, and of course Italian wine, sweets, and cheese add to the ambiance. This is an incredible trip! The week is spent digging at a site more that 2,000 years old, unearthing broken pottery and evidence of Etruscans in Italy. When not digging, there are 2,000 year old bones and pieces of pottery to be cleaned and cataloged. When the day is done, there is time back at the apartment for a good locally prepared meal and time to visit with the staff (from the University of Florence). If time permits, there is the opportunity to visit other Etruscan sits and/or local museums. This was my first Earthwatch expedition and my fist trip to Italy. I had a wonderful time and I learned so much. The scientists were so warm and friendly and patient. They took such good care of us both during working hours at the dig and afterward. The accomodations were very comfortable and the scenary was unforgettable. I would definitely like to go back next year. For anyone considering this expedition, it was alot of hard work but well worth it. My experience with Unearthing Ancient History in Tuscany was phenomenal. I want to thank the staff, Carolina Megale, Laura Riccadonna, Martina Fusi, and Stefano Genovesi for sharing their knowledge. I learned so much about archaeology. When anyone asked a question it was answered in detail. They treated us as students. This want-to-be Archaeologist appreciated their efforts, their cooking, and their company at the evening meals. I was in awe of what we got to do. To actually hold artifacts from two thousand years ago was such an experience. I thought volunteers would only be gofers for the staff, but no, we actually did work after a training session. The excitement I felt when after brushing the last layer of dust I uncovered a Roman wall of the Roman Villa. I will do it again. A co-volunteer and I are planning to go next year. This was the third time I participated in this expedition. Each time, I am amazed at how fully I was able to participate as if I were a trained archaeologist. The work was hard but so incredibly rewarding. The archaeologists in charge are absolutely wonderful, gifted, and dedicated individuals. The organization of this expedition is exceptional, due to the skills of all involved in setting it up and managing the work and the activities of the volunteers. The itinerary was so varied and we learned so many aspects of the history surrounding this site and its people. I am already planning to return next year. And, did I mention the food prepared for us was absolutely fabulous! We so enjoyed our Unearthing Ancient History in Tuscany excursion last year that my husband and I decided to go back for another week this year. Our experiences this year, in addition to excavating, included learning how to examine and interpret the area where we were working, documenting, and providing input as to what we were looking at and how it related to what was already known about the site. We were not just digging, we were working as archaeologists. We received instruction from an anthropological archeologist on methods for cleaning and identifying bones, and learned and applied cleaning techniques for artifacts that were going into a museum that will open in June. We often said during our week, “I can not believe we are holding something this old!” The work can be strenuous, but as the old saying goes, ‘it was a good tired’. Each evening, after a hard day’s work, we were treated to a great home cooked meal and entertaining conversations with the other participants as well as the archeological staff. Managers of the project, Carolina and Stefano, made a point of understanding each team member’s interests and abilities to help maximize their experience. They did an excellent job of teaching and involving Team members in the project and process. We enjoyed the passion they shared as archaeologists for the project. We truly have developed a personal connection with this project and expect to return again next year on this excursion. This was our first Earthwatch expedition: an archeological "dig" near Populonia Stazione (Livorno), Italy. We had never worked with an archeologist before, but the guidance we received from Carolina (and her staff) allowed us to quickly learn the rudiments of hand-based excavation - the use of the pick-ax to loosen the earth without over-exertion; and quick sweeping with a whisk in parallel strokes that gradually removed dirt to expose any items of interest - pottery shards, bones, glass, metal fragments, etc. This methodical approach allows precise recording of the location of items within a grid-work and identified strata (layer) of soil. Repetitive work to be sure, but enjoyable as we worked our way down, occasionally retrieving items of interest that were catalogued and set aside for further study. Heavy rain on workday 3 meant we had to move from the field to a lab for an alternate activity. For us, it was examining and cleaning human bones, some quite charred, that were recovered in an urn discovered when municipal roadwork cut through an area near an ancient cemetery. Guided by a forensic anthropologist (part of Carolina's team) we gently washed the bones to remove dirt and ash; once dry we would try to assemble the skeleton and determine its gender. This we did the next day. Our last full workday (day 5 on the site) saw us clear the previous layer completely. We enjoyed our brief intro to archeology, and were sorry that we hadn't signed on for the 2nd week. As part of celebrating my retirement, my husband and I decided to take a trip. A friend of the family with connections to Earthwatch had been encouraging us to try one of their expeditions. The archeological dig in Tuscany fit into our calendar and a trip to Italy sounded pretty nice! We prefer vacations that keep us active and the thought of getting down and dirty did not bother us. I called to inquire and from the first call to the very end of the expedition, everything was handled well and everyone I had contact with was pleasant and helpful. Once we arrived at the town we would be staying in, we met the other volunteers, then went to dinner and met the other staff members. There was no question in our minds- we had made a good choice. Without a doubt, it was hard work, time on our knees cleaning and sweeping, looking for roof tiles, pottery pieces and trying to find the floor below the collapsed roof and walls. When we weren't on our knees, we were moving dirt and stones from the site or swinging a pick ax, which was actually rather relaxing. The staff included 3 graduate students from the University of Florence and a specialist in analyzing old bones, also from the University. They were all more than willing to explain what we were looking for and at. And, we were in Italy, so you know we were fed well- coffee break, lunch and dinner! We so enjoyed it, we are hoping to return next year. Having done a couple of expeditions on Roman sites I was looking for something new ....and certainly lucked out when I signed up for the Tuscany one at the Necropolis site at San Cerbone. The site itself was a wonderland, located across the street from the Bay of Baratti, with the prviously excavated Etruscan mound tombs, dating back to the 7th century BCE , and the "newer" sarcophagi from the 6th centuryBCE , continuing on down the hill was awesome. During the week of actual work , cleaning up the site for the first couple of days ...we were the first group after the end of last season's work, gave us a chance to get a clear view of the layout of the area and the progression of the ensuing years work. We finally got down to the "good" stuff and made progress .....finding a lot of pottery and trying to make sense of the known locations of burial sites.and intersecting roads....I wish I had volunteered for two weeks , instead of one, as it was just starting to make sense. I will be returning in Sept. for 2 weeks.....can hardly wait to see what has been accomplished since May. During the week we had many school groups , on class trips, stop by to watch....it was great to interact with them and for them to practice there English and in turn for us to attempt to explain just what we were doing. The accommodations were first rate , one of the best I've seen. The local Project staff was exceptional.....very welcoming and helpful...Thanks to Carolina and Stefano for their expertise and kindness .....will see y'all in Sept. I participated in the "Excavating Italy's Ancient Etruscan Coast" expedition, the first year it was offered. It was very well-organized: Carolina, the lead scientist on site, had done an excellent job of arranging for everything. The work was hard but enjoyable--I spent that team uncovering part of a mosaic--and the field lectures were interesting. I learned a lot about the different types of pottery, and the firing mechanisms that caused the different colors and textures. The accommodations were good, and the food was excellent, provided by a local chef friend of hers. We took turns helping cook and clean for dinner. Breakfast was food in our apartment units. Laundry onsite was very helpful, considering the amount of mud I picked up. Even though this expedition was in its first year when I was there, they were clearly used to volunteers and students, and had organized things well for them. In particular, they had the best-organize safety presentation of any expedition I've been on. I know that's not something you usually notice, but this was remarkable because it was so good and comprehensive. 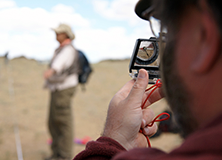 What archaeological treasures await researchers at the Ikh Nart Nature Reserve in Mongolia? Join an archaeological excavation near Hadrian’s Wall to discover how the Romans lived in northern England. 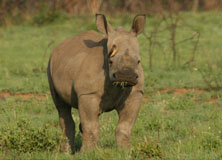 Rhino populations are in crisis due to the high value of rhino horn combined with widespread poaching. But what happens if they disappear entirely?